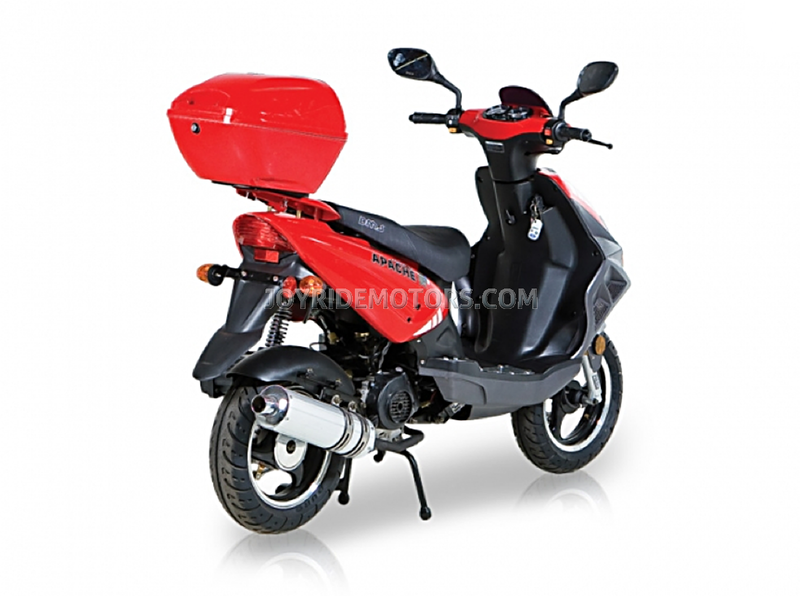 The Tuscan 50cc Scooter for sale is an amazing value that is inexpensive but not at all cheap! 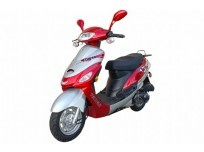 The Tuscan style Italian Scooter originated in the Tuscany region of Italy, and congers images of rolling countryside, cobblestone streets, vineyards and small villages. 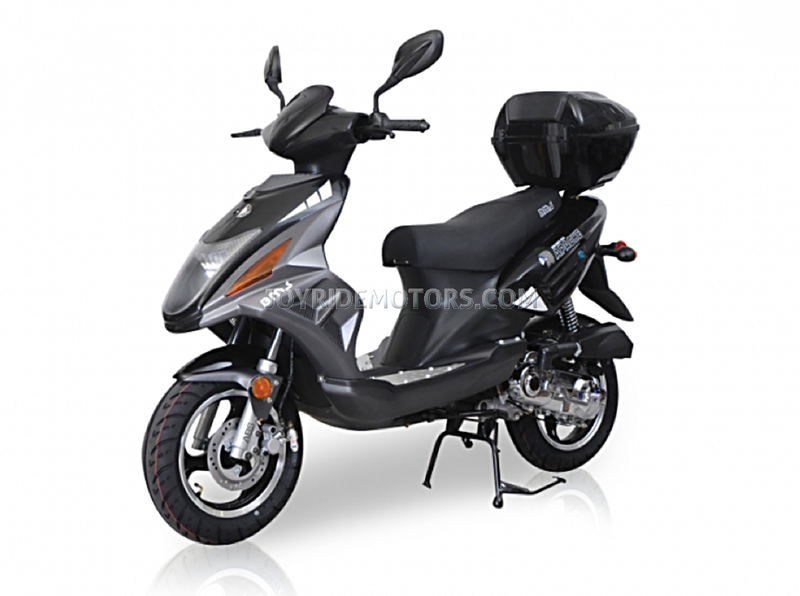 The Tuscan 50cc Scooter's narrow frame and tall height works well to soak up the bumps and give you a smooth and relaxing ride. 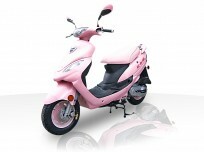 Here at Joy Ride Motors we are extremely proud of our Tuscan scooter for sale for a lot of great reasons. 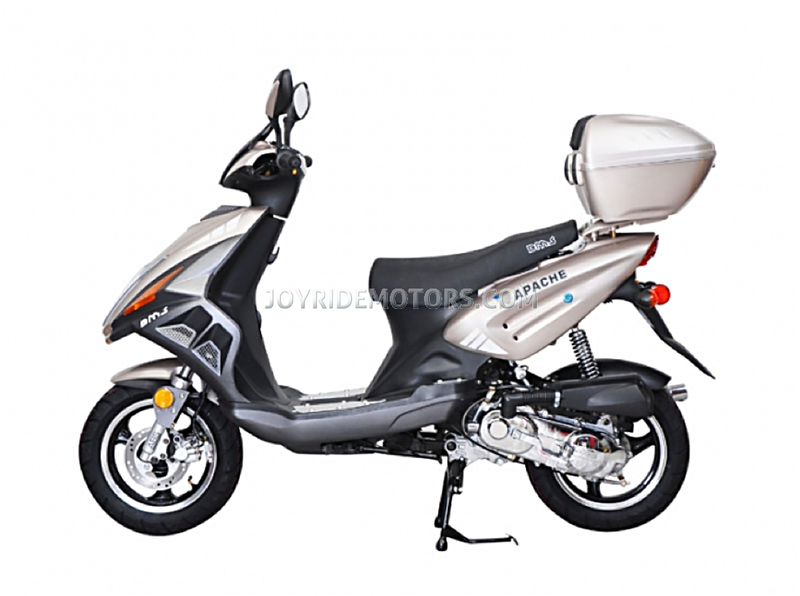 Once you factor in its ridiculous gas mileage of over 100MPG, it's great look, and the fact that it's thousands cheaper than comparable major brands... what else about the Tuscan scooter for sale can be said? 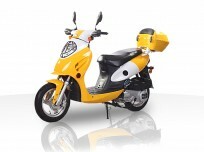 Well, it turns out that its not so much about the 49cc scooter for sale, as it is about those that ride them. It’s because the Tuscan scooter is the most popular scooter amongst America's Collage students - and the second most popular Italian thing since Pizza... and that's why we are so proud of the Tuscan 50cc scooter! 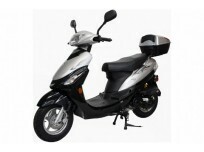 It's the ideal scooter for on campus living, local errand running and commuting to work... saving many thousands of dollars on gas, insurance and parking fees/tickets over the course of their academic career and re-appropriate the savings accordingly! 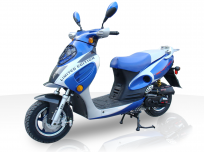 ADDITIONALLY... the Tuscan scooter, like many 49cc and 50cc Scooters, doesn't require a motorcycle license to operate, but you'll need to check YOU STATES DMV to be sure. 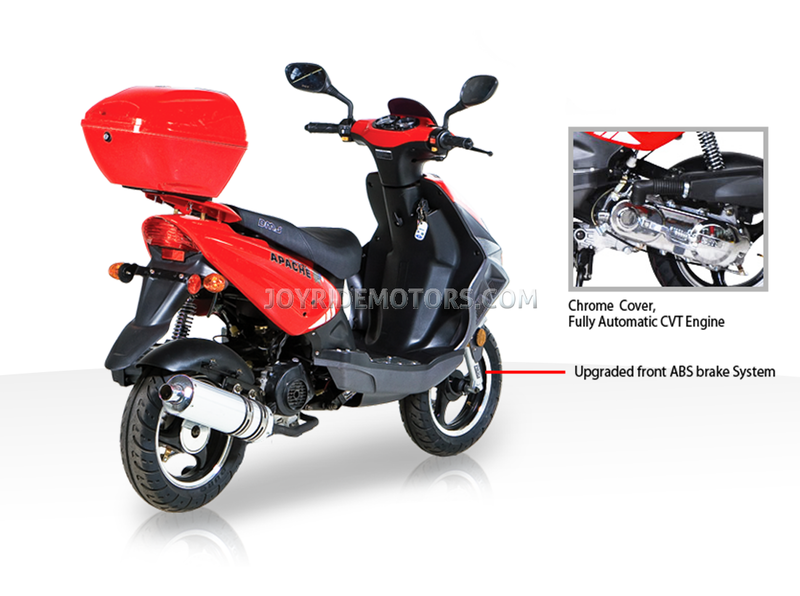 If you like the Tuscan 50cc Style, then check out these other Joy Ride Entry Level 50cc Scooters; The Joy Ride Gemini 50cc Scooter ... AND ... The Joy Ride Hollywood 50cc Scooter. And if you just love the sharp and neo-syfy look of the Tuscan, but want it with more kick, then the Joy Ride Grand Pix 150cc Scooter is the ride you want! 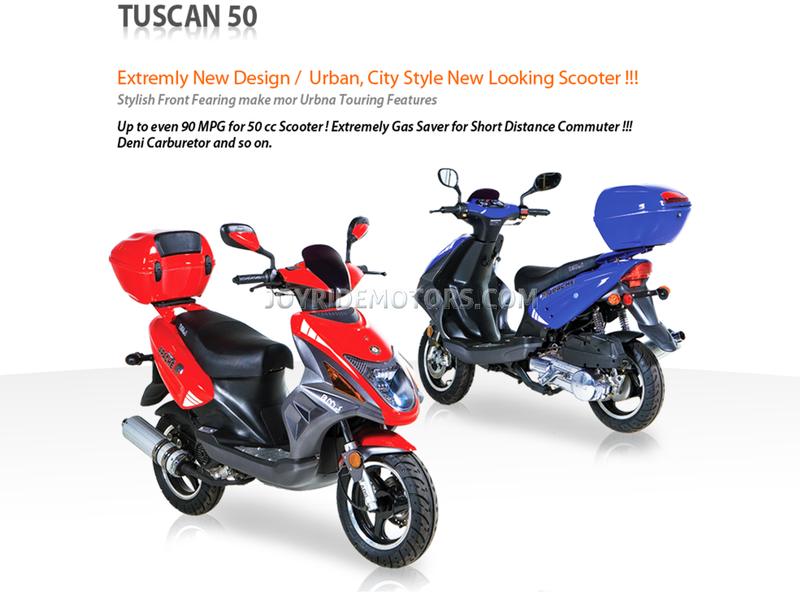 If the photo's, specs and description of the Tuscan 50cc Scooter aren't enough take a moment to ask us, or see what our customers have to say... After a decade of experience in this industry, we know you have lots of questions, so just call us at 1-877-300-8707 and we'll be delighted to answer them all :) To see what our customers have to say about us and our products, please click HERE. 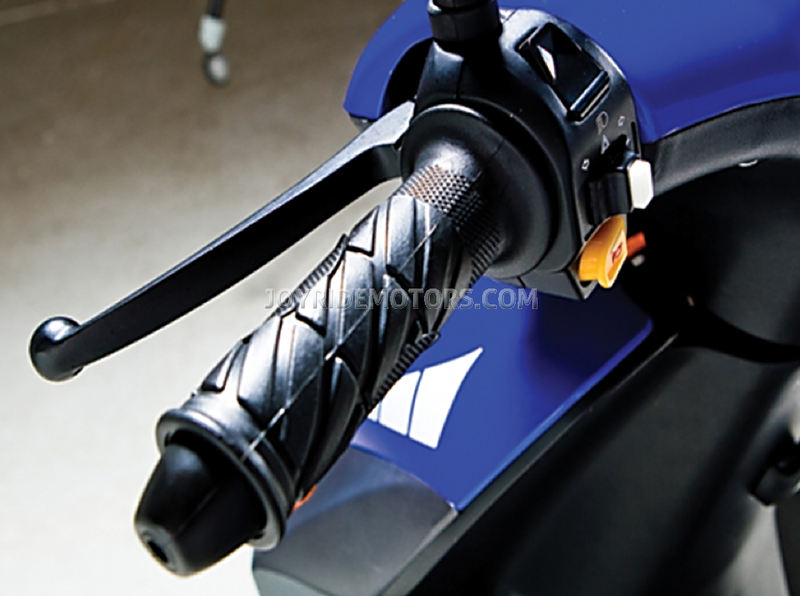 The Tuscan is EPA, DOT & CARB Compliant and can be Shipped to ALL States. THE PRICE YOU SEE IS THE PRICE YOU PAY. NO HIDDEN FEE'S - THAT'S HOW WE ROLL! All information is subject to change without notice. 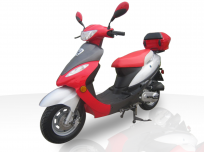 At Joy Ride Motors, we want every ride to be safe and enjoyable. So always wear a helmet, eye protection and protective clothing. Never ride under the influence of alcohol or other drugs. Avoid excessive speeds. Never engage in stunt riding. 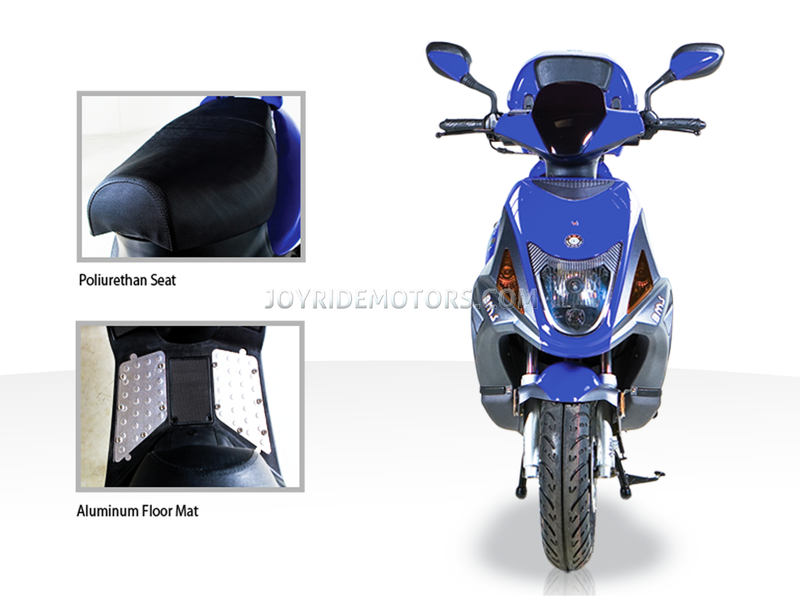 Study your owner’s manual and always inspect your Joy Ride before riding. Take a riding skills course. 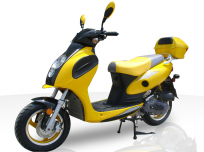 For the course nearest you call the Motorcycle Safety Foundation at 1-800-446-9227. Also labled as the BMS Apache - optiuonal decals enclosed. 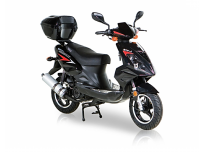 I initially checked out a variety of different new 150cc - 250cc scooters at the Yamaha/Honda dealer in Knoxville to ride to work. 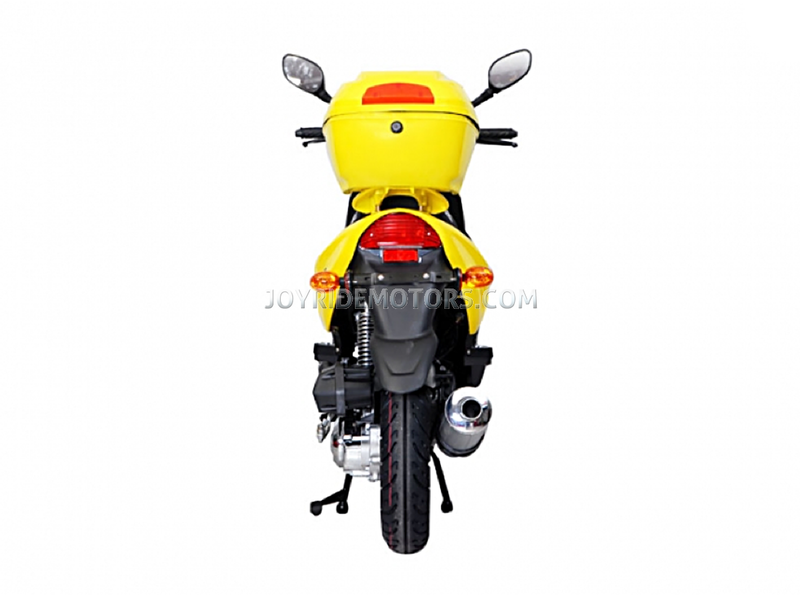 I was immediately surprised at the excellent power level and reliable engine. After picking the salesperson's brain and figuring out exactly what i wanted, I went and found this one online and saved myslef more then half of what I expected to pay at the dealership. Certainly buying on line is not as easy, and there is the assembly, and inspection issues... but the savings are worth the effort. I drive it to work and on short trips for fun, achieving a total of 3000 miles this year so far. The only maintenance issue was a loose electrical connector that caused the fuel gauge to not read correctly. 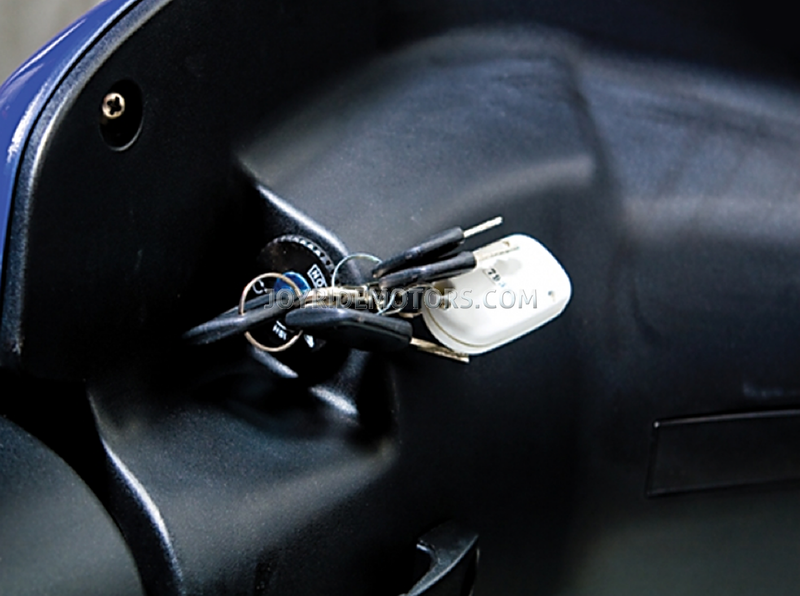 It was quickly fixed, by just taking some tinkering, and tightening of wires, nuts and connectors. The scooter was comfortable and stable to ride on most surfaces, due in part to the large wheels. 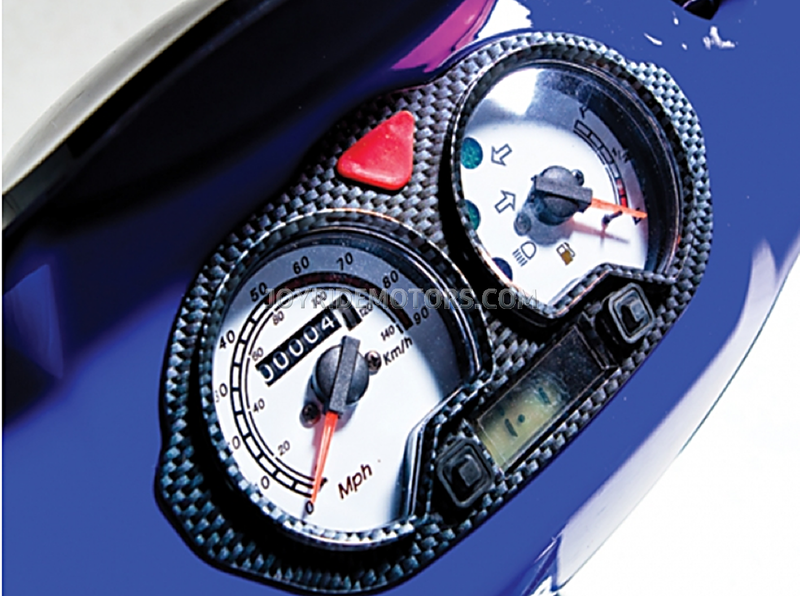 It was a great introductory vehicle for me, and after getting pretty comfortable on it, I decided to trade up to a Yamaha Majesty 400cc, which i bought used, because I wanted to ride with a local motorcycle club occasionally and to have a larger storage capability, and top end speed on the freeway.